Alibaba is playing a key role changing the face of retail in China and, probably, the rest of the world. 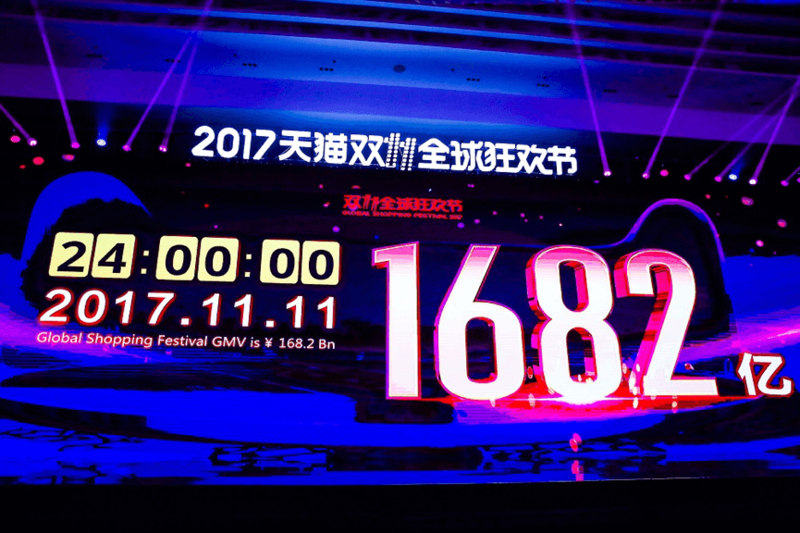 During November’s Double 11 Global Shopping Festival, or Single’s Day, Alibaba set a record in total gross merchandise volumes. The amount of GMV processed by Alipay, which is part of the Alibaba family of companies, reached more than US$25.3 billion, an increase of 39% compared with 2016. Part of the Single’s Day success was how e-commerce sales were linked through social media, online games and entertainment. This was a result of Alibaba’s “New Retail” concept, which was rolled out by co-founder Jack Ma at the Computing Conference in 2016. For many in China, this looks like the future of retail and involves a seamless connection between the online and offline world, with the focus on the consumer experience. For merchants, “New Retail” helps to digitize and transform every aspect of the retail value chain from merchandising to logistics. For consumers, they will receive personalized feeds that match their preferences, not only based on previous purchases, but also ads clicked, terms searched, links shared with friends, and traditional physical stores they have visited. Shopping, in fact, is going through a dramatic change in China. It is becoming a social activity and even a form of entertainment. 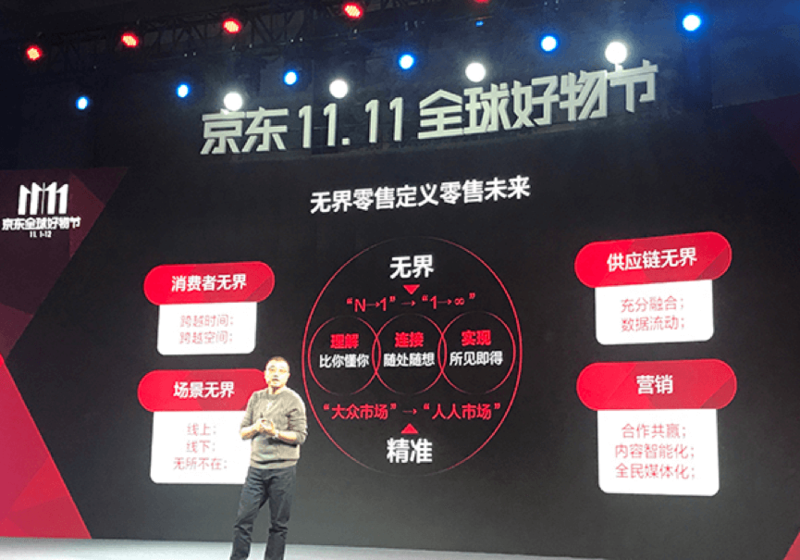 For instance, before the Double 11 Festival, Alibaba held the “See Now, Buy Now” live streaming fashion show on multiple social channels. People could not only watch the program, they could also purchase the outfits directly on Taobao or Tmall, which are online shopping sites and part of Alibaba. They even had access to a virtual fitting room and preview options of “their new look.” Catch the Cat was another successful gaming campaign linked to Single’s Day. Users could access it and interface on the Taobao or Tmall apps. With augmented reality, or AR technology, they were supposed to catch different types of cats that appear randomly but were related to a designated brand. Once caught, users could then get discount or coupons for the brand’s online or offline store. But then, technology is the essential element in “New Retail.” With the integration of virtual reality, or VR, AR and more advanced technology in the future, online and offline channels have become smarter to enhance the customer experience. One example of this is the Tmall pop-up stores. Each of them covered a certain product category, including fashion, cosmetics and household products. With advanced RFID, or radio-frequency identification, and AR technology, customers could access product information through “Cloud Shelf”. 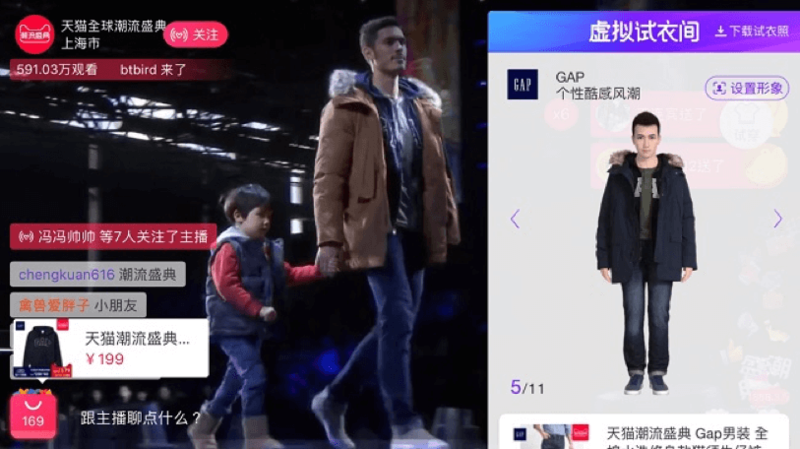 They could also “try on” clothes with the help of a “virtual mirror”, and pay through Alipay by scanning a QR code. Of course, Alibaba is not the only company pushing the e-commerce boundaries in China. Rival Tencent is working alongside JD.com, the second largest e-commerce platform in the country. Last year, JD.com wheeled out a similar concept to Alibaba’s known as “Unbounded Retail”. “[Our] willingness to take risks and explore new markets [allowed us to] make it in China, [and we] can make it in many, many other places in the world,” Richard Liu, the founder of JD, told the Wall Street Journal. With close to one billion monthly active users on WeChat, Tencent has built a massive database. And with JD in its corner, the company has tapped into a strong e-commerce player. Yet this could be just the start of a retail makeover in the next three years. New businesses will be born and nourished by adapting the latest technology with consumers driving the market. Traditional brick-and mortar companies will have to adapt or going under. Still, “New Retail” is here to stay and not just in China’s massive market. 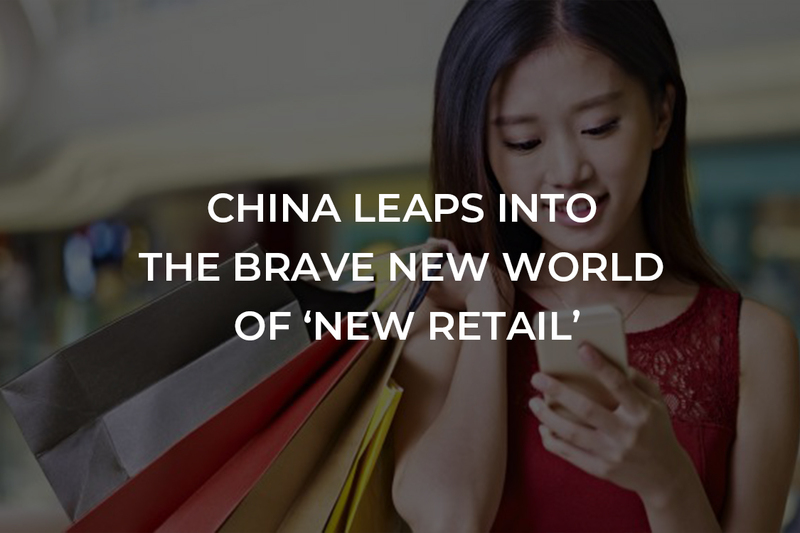 Disclaimer This article <China leaps into the brave new world of ‘New Retail’> was originally published in Asia Times, written by Ashley Galina Dudarenok.